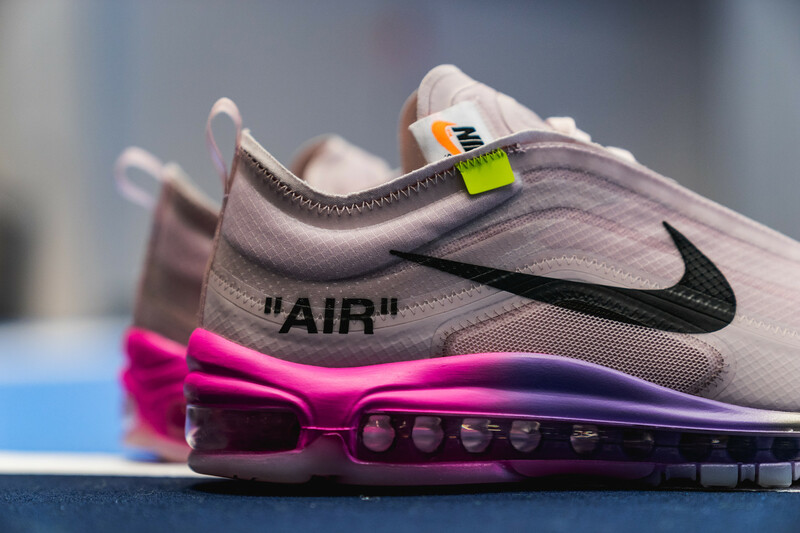 Earlier this month Nike shared a first look at the monumental ”QUEEN” collection alongside Off-White™ for Serena Williams and now some closer images of the sneaks have dropped. The collection starts with the Air Max 97 that has a thin upper welcomes a mix of grey and light pink with an Off-White’s™ signature. The Blazer Mid shares an enlarged Swoosh logo on its lateral and medial sides with exposed stitching throughout plus an unfinished end on the tongue. Shades of grey are presented on its paneled upper with the same color gradient making its way onto the midsole. Then the NikeCourt Flare 2 PE which is one of Serena’s go-to performance models receives the Off-White™ touch with two colorway options of silver glitter and an icy blue. The low-cut model incorporates an inner bootie while an Off-White™ seal of approval is presented on each lateral side and the line’s signature arrow logo is placed on the medials.